CRT televisions and monitors remain the single most harmful part of the electronic waste stream. Each device contains between 5 – 10 pounds of lead, which makes them one of the most toxic electronic products ever made. Remember the old, heavy TV or computer monitor from our childhood? Those older units used Cathode Ray Tube (CRT) technology to project the on-screen image. Today, most of us use a monitor or TV that uses newer flat-screen technology, yet many people still have old CRTs sitting in storage because they don’t know what to do with them. Believe it or not, CRT devices still represent 50% of the total weight collected from homes and schools in Michigan. 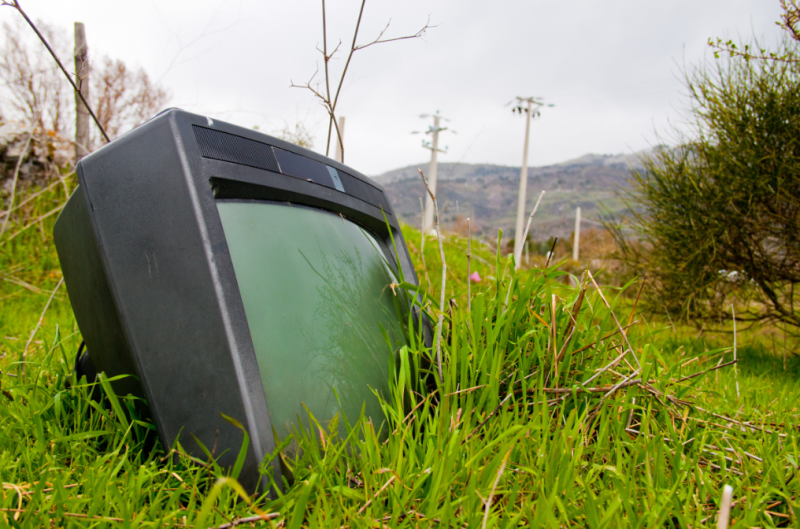 Most corporations and organizations have recycled their CRTs by now but the fact that so many are still coming from homes and schools cause some interesting challenges. 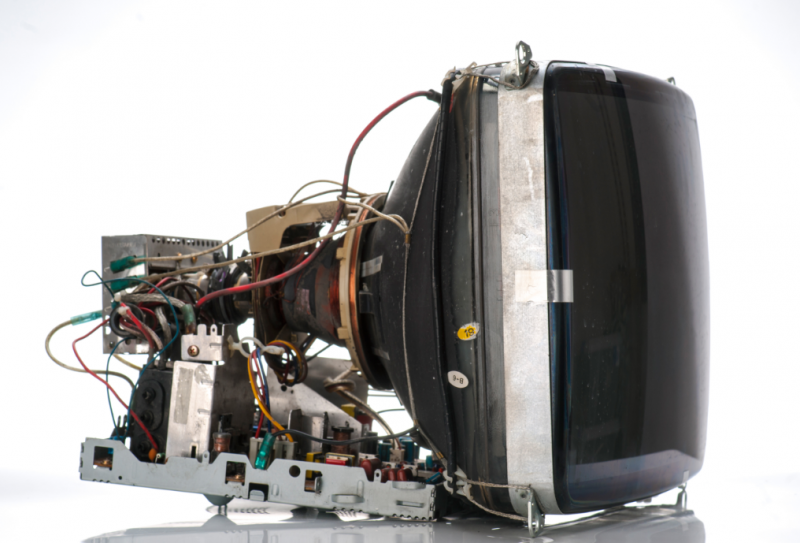 Within the world of electronics, CRT devices are considered to be a “negative value” item, meaning it costs much more to properly handle them than could ever be recovered by breaking them down. Because of this fact, responsible recyclers like Comprenew charge a fee to collect and process these units. Once in while, a “recycler” will announce that they will take your CRT device for free. This sounds like a great idea. After all, CRT devices remain the single most harmful part of the electronic waste stream because each CRT device contains between 5 – 10 pounds of lead, which makes them one of the most toxic electronic products ever made. But there is a hidden danger in those offers. Beware of offers of “free” CRT recycling unless you know that somebody is paying for 100% of the total cost of the service. The real cost for a certified and responsible electronic recycler to collect and process a CRT device is between $0.25 - $0.35 per pound, The handling of used CRTs alone is expensive because used CRT devices are not uniform in shape and weight and moving them safely often requires two people. Extracting the lead that is in each CRT is also very expensive and must be done by one of the four specialized processors located in the U.S. As required by Michigan law, responsible electronic manufacturers currently pay some select certified and approved recyclers, like Comprenew, one-fourth to one-third of the total cost of collecting, transporting, and processing CRTs. 1. With the current rate of manufacturer support, not charging for the proper recycling of CRT devices puts the burden of payment on something or somebody else. That somebody will not continue to bear that burden and will eventually stop offering it for free. Comprenew has some personal experience with this. Years ago, Comprenew did not charge our customers to properly recycle a CRT. Over time, because of the growing cost to properly recycle each CRT and the increasing volume, we could no longer carry the cost and we added a fee. We noticed that people who would ordinarily pay to recycle CRTs waited to do so, hoping that their cost would return to free. We learned that pricing confusion creates indecision, resulting in fewer potentially harmful items being properly recycled. As a vendor and a nonprofit organization, we have a responsibility to do things that encourage proper recycling. 2. We as consumers have a right to know how a buying decision may affect us and the people we love before we purchase the product. If the true cost of a potentially toxic product is hidden from consumers, people are deprived of the ability to make an informed buying decision. The Consumer Technology Association (formerly Consumer Electronics Association) is a membership organization that acts as a resource and advocate for the technology manufacturing industry. On the CTA website, their Environmental Sustainability policy states that they are committed to reducing electronic waste, and that they “support smart, collaborative approaches to improving electronics recycling and increasing sustainability.” To create lasting solutions to current and future environmental challenges relating to electronics, manufacturers must be even more committed to designing and producing products that last, and are free of potentially harmful elements like lead. There is no doubt about it, electronic designers and manufacturers are adding extraordinary value to our lives. What an exciting time to be alive! We can now communicate with more people at a lower cost than ever before, we have unlimited information available at our finger tips, new technologies to entertain and make our lives easier are being made available, and our world is becoming more and more connected. All this is great, but there is more manufacturers can do to keep us safe. Let’s use our voices to help them understand that we want products that will help create a cleaner and greener future. Contact the Consumer Technology Association on their website at https://www.cta.tech/Policy/ContactUs.aspx.